Ken Winton is a transparent conversationalist; his inspiring teachings have motivated companies of people around the world into living their lives lighter. Ken is edgy, relatable, some times a goof, but always influential. Ken is an international speaker, author, musician and hosts his own radio show, podcasts and blogs and most of all, loves to go on walks with his wife Becky. When Ken is not on the road he frequents his favorite coffeehouse to sip on a cup of caffeine and chat with the locals. Ken resides in Chico California with his wife, three kids, two daughter-in-laws, one son-in-law and a whole mob of five glorious grand-kids. And, by the way each grandchild is his favorite. 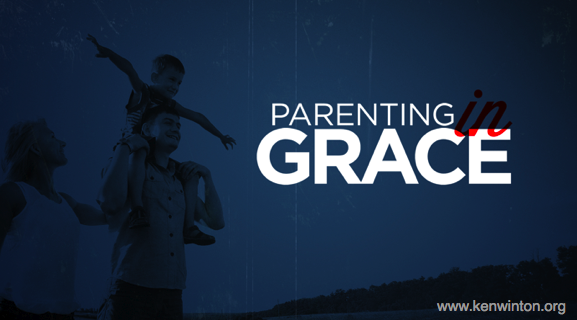 This entry was posted in By God's Grace, Parenting, The Cycles and tagged 1 Corinthians 15, grace, parenting, shame, truth. Bookmark the permalink. Wow, this really hit home with me. I could ditto that woman’s concerns except my teen is a son and tried to help him the same way she did. I was always made to feel inferior as a child because of my weight and I wanted to spare him that. Thank you Ken, I love this post. I’d better go start writing notes! Thanks Diane for your thoughts. Yes, pure love is what we all need. We have a tendency to fix people and it is usually birth out of concern and love. The truth is though, we cannot fix anyone. But, as we love them and point them to the One who can fix them, we will see deep healing of the emotions!